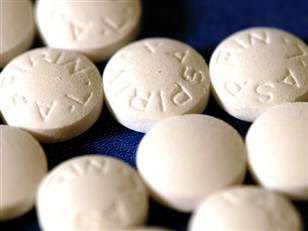 An aspirin a day may keep melanoma at bay, a new study suggests. The researchers focused on usage of anti-cholesterol statins and nonsteroidal anti-inflammatory medications, or NSAIDs, because some earlier population studies had suggested that these medications might have an impact on melanoma development. Kirkwood hopes that the new study will spur researchers to do a long-term study to look at the impact of NSAIDs prospectively, since the protective effect seen here might not be the result of the medication, but rather something that people who take daily aspirin have in common. Until that happens, doctors can’t counsel patients to take aspirin to protect against melanoma. Still, this is one more possible benefit to consider if you’re advised to take aspirin to prevent heart disease, he said. For now, this is the first piece of good news on the melanoma prevention front. Hi...Your post really got me thinking man..... an intelligent piece ,I must say. Get more information about Medical eye care .